Bethesda, the American video game company behind the Elder Scrolls series and games like Dishonored, has released a new trailer for their upcoming action game Doom. The most noteworthy thing about this promotional video is that it is a live action trailer, directed by Joseph Kosinski, who also directed big-budget Hollywood movies like Tron: Legacy and 2013’s sci-fi flick Oblivion starring Tom Cruise and Morgan Freeman. 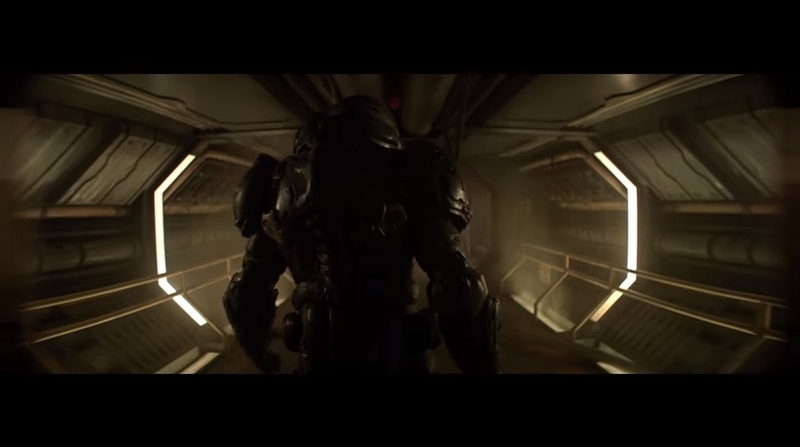 And it is clear that the trailer captures the Doom vibe pretty well, with its bombastic heavy metal music (Refused’s “New Noise” is heard), over the top action, and a lone marine protagonist squashing nightmarish demon enemies with his big, bad guns. And hopefully id Software’s game will live up to the Doom classics of the 90’s and offer an experience that rivals the best action games out there, making players forget about the disappointment that Doom 3 was back in 2004. But there’s no doubt that this video will likely get fans of the Doom franchise excited about the game, while earlier trailers have showcased the game’s multiplayer action and the weapons that will feature in the game, in what clearly is one of the most eagerly awaited video games of 2016.